Hi everyone! 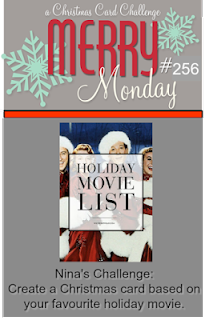 I'm playing along with the challenge at Merry Monday today, and trying to play as often as possible as I really need to build up my Christmas card stash. 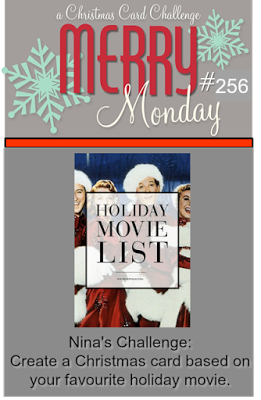 This week, Nina would like us to create a card based on our favorite holiday movie. One of my all-time favorite Christmas movies is A Charlie Brown Christmas, and I even have the soundtrack which we listen to every year while decorating the tree. I had the perfect stamp set for it too, this adorable set by Mama Elephant. I tried some different backgrounds for my card base, but they all seemed to detract from the image. I thought it looked "Charlie Brown-iest" all by its clean and simple self! 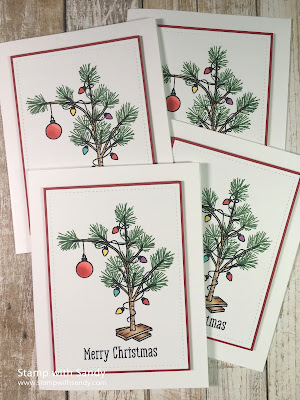 This was another card that was super easy to make multiples of using the Misti, so I made four of them. My stash is slowly growing! I'm also playing along with the Simon Says Stamp Wednesday Challenge, which is Clean and Simple. So cute, what a perfect image for your favorite movie. Thank you for joining us for Merry Monday. 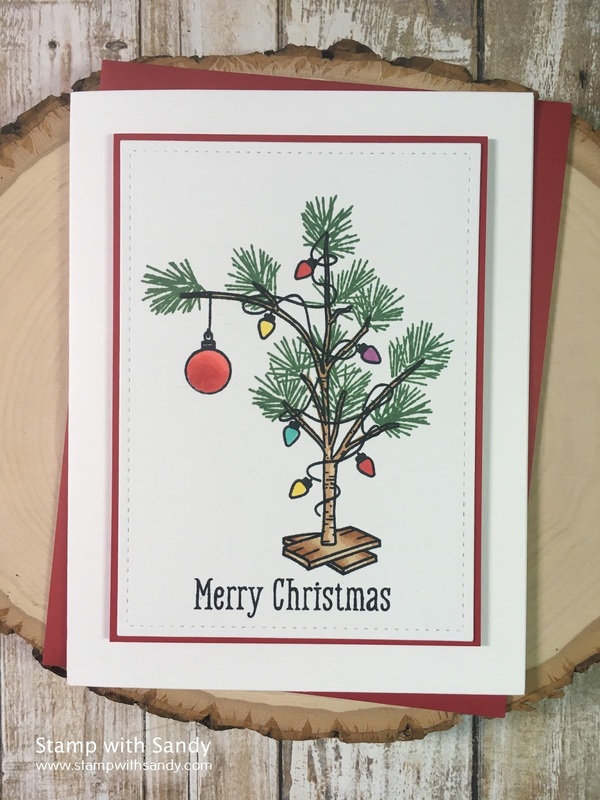 I love your sweet Charlie Brown Christmas tree, just too darn cute. Thank you so much for playing along with us at Merry Monday! Adorable Charlie Brown tree, Sandy! Just love the design with the image on the red mat!! Oh, Sandy! This is an adorable card! I love this image and agree that this movie is a classic. Beautiful simplicity and colors. Hi sandy, I agree with all the comments. A great movie and a super great card. Fantastic card Sandy...perfect image for this movie! thank you for joining us at Merry Monday! 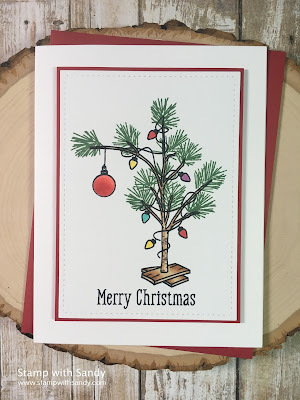 Great card with that cute Christmas tree. Perfect image for that movie. Thank you for joining us at Merry Monday. I just love this Sandy - what a cute tree and a perfect representation of Charlie Brown's. A worthy MM winner this week! Beautiful cards! Love that sweet image! Great CAS design!